Teun Hocks gives us the best of both worlds. Everyone loves a good optical illusion, right? So…which do you think that is: a painting or a photograph? It’s both! 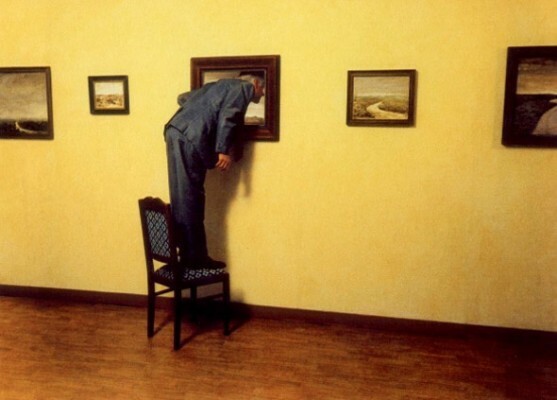 Teun Hocks take photographs and paints OVER them. Super awesome, and not a bad idea for those who love to paint but are sketching challenged and wind up creating nothing but advanced blobs every time they try to give an accurate depiction of something. (Me). Unlike myself, Hocks is clearly an innovator and lacks nothing in the talent department. Despite using photograph as something real as a base, his work is very surreal and almost Dadaist.